Besides hunting down those rare creature types and completing the main storyline quests, Monster Hunter: World is now receiving regular quest updates in the form of limited time events released on a weekly schedule. Monster Hunter World's A Simple Task event is a fungus-focused delivery quest with an oddly high-rank prerequisite that might lead you to believe amazing rewards or strange creatures will be found. Sadly, the event's name has turned out to be exactly correct. Want to give this underwhelming task a shot anyway? Let's get started hunting down mushrooms and wrap up this quick quest! 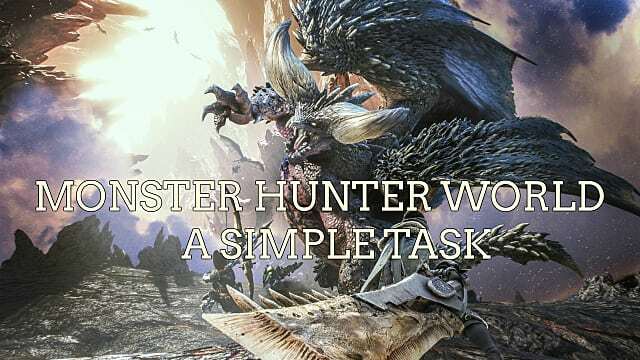 Your character has to be HR 30 to even start the A Simple Task event, so be sure to increase that hunter rank if you aren't quite there yet! The high prerequisite prompted a good deal of speculation that the name was a purposeful misdirect and that it would, in fact, be a very complex task with high chances for better spawns, but that's not the case. Unfortunately, this isn't the Deviljho monster reveal event as we all had hoped, which is odd considering the quest description specifically mentions "rare tracks," indicating some kind of uncommon monster should be involved in the investigation. You'll have to wait a few weeks still before facing off against that returning monster favorite. 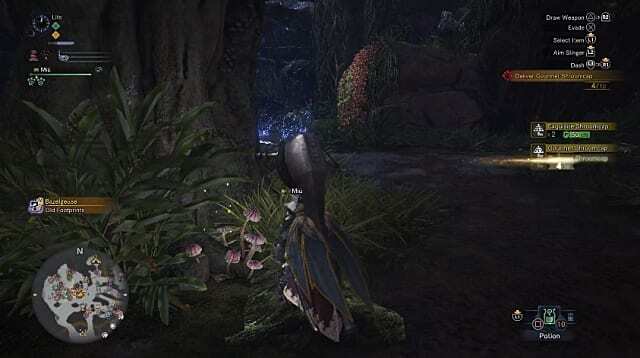 While you can encounter Aptonoth, Jagras, Mernos, and Gajalaka during the event, they aren't the focus of this quest at all (and aren't exactly big game to bring down anyway). A Simple Task is just a string of farming tempered threat level 1 and 2 investigations. You are literally just harvesting mushrooms at various locations spread across the map. There's a time limit, and the investigation points don't respawn after first grabbing them all, so you may need to finish the quest and then start over. You can find the required mushroom variety all around the area, and the time limit is set at a leisurely 50 minutes, so it's not difficult to finish by any stretch of the imagination. You also lose the event if you faint three times, which is unlikely to occur since you won't be doing much battling. To finish A Simple Task, just harvest 10 Gourmet Shroomcaps in the Ancient Forest for the Meowscular Chef. Harvesting the unique mushroom colonies around the Ancient Forest will give you either Exquisite Shroomcaps or the needed Gourmet Shroomcaps instead. 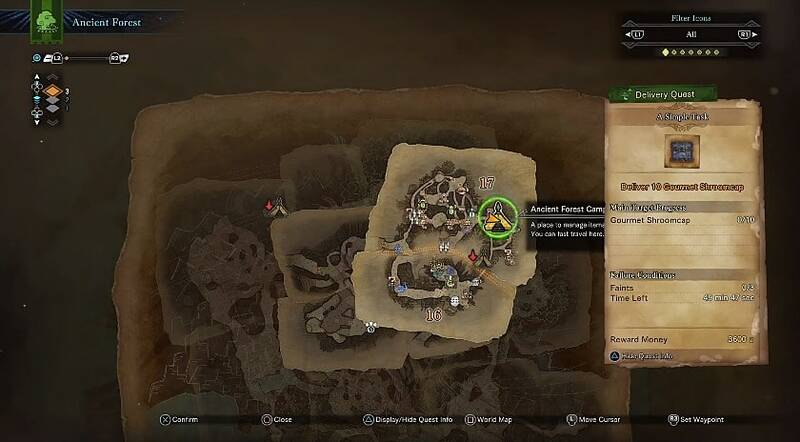 Once you grab all 10 Shroomcaps by harvesting mushroom colonies, you can automatically end the quest without having to return anywhere and immediately nab your 3,600 zenny reward. It's nothing too stunning, but at least you got to do something different with an event instead of keeping to the same grind, I guess? That's all you need to know to complete this aptly named event! Have any tips on the best mushroom harvesting spots, or did you manage to find any rare creatures mentioned in the event description? Let us know in the comments below! 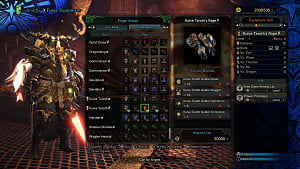 For those wondering, the highly anticipated Deviljho monster will appear later this month in a free, post-launch update slated to drop for consoles on March 22nd.